What a fun meeting we had! 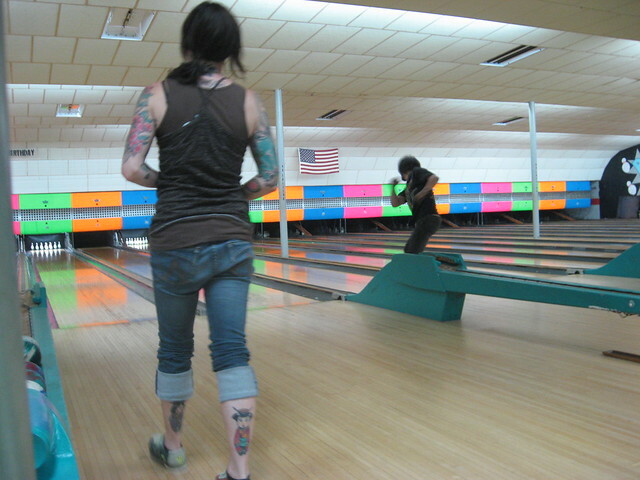 We bowled duckpin style and didn't really talk in a group about Radical Reference, but many nice interactions and conversations were had. Thank you all for joining us, and being a part of RR! UPDATED INFO! Are you going to ACRL? then come to the Rad Ref meeting on Wednesday at 7:30at Fountain Square. There will be DUCKPIN BOWLING, and we will talk about projects we are working on or things we want to do, or explain what we are all about and more. We'll meet in the End of the Line Public House for the meeting (and eating if you desire)portion and then move to bowling when we are done! RSVP so we know how many lanes to book! CC licensed photo by Dusty Pen.